Both the werewolf and giant were dead. So the pair's unretired, instead. That caused him to howl and to kill. And finally, both had to chill. 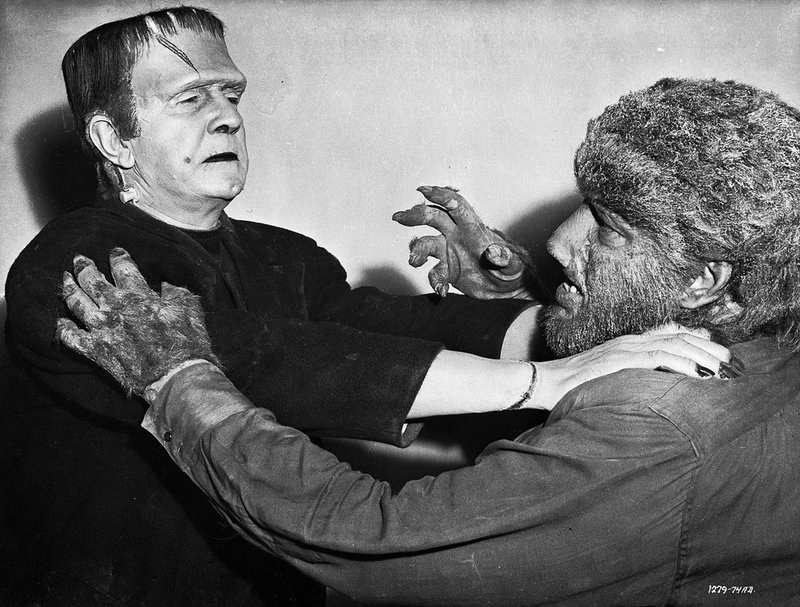 Frankenstein Meets the Wolf Man (1943). 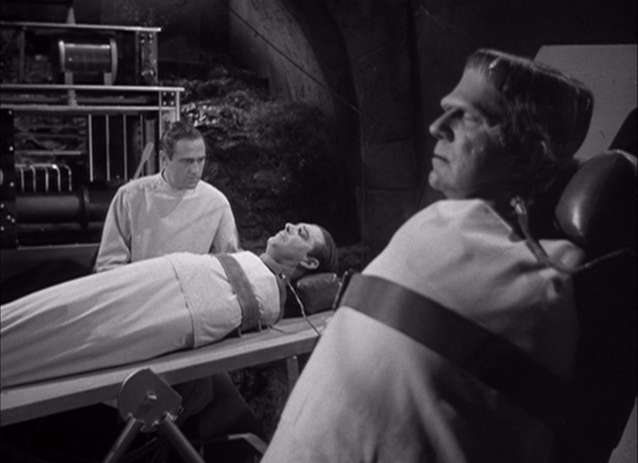 Above: Dr. Mannering (Patric Knowles) begins by trying to help werewolf Larry Talbot (Lon Chaney, Jr.), but succumbs to the urge to revive Frankenstein's Monster (Bela Lugosi).